My forever goal is to find quick meals that don’t sacrifice health or flavor. 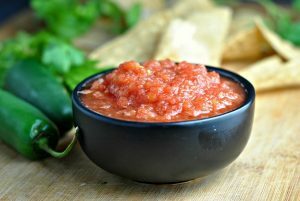 I know recipes out there exist and here’s one great example. But time seems to fly when I’m in the kitchen. I’ll be doing my thing, cooking away…I’ll look up, and an hour or more has gone by. I never mind this fact until I realize that that leaves so much less time for other evening activities, like working out, cuddling, and sleeping. Lately, my issue has been the Olympics. I get involved in watching and the next thing I know, TWO hours have flown by, past my “bedtime”, and my unfortunate internal clock doesn’t allow me to make up that sleep in the morning hours. I want to be a teenager again. Bottom line: time is precious. I regret that today at the grocery store I chose THE SLOWEST check out lane. I also decided to brave the store at noon on a Saturday (why, oh why!?) and if there were “cart police”, I would’ve gotten a ticket for reckless driving. I shop with a list and I’m on a mission. I’m sure more people than not share in this angst, but it sure didn’t seem that way today. Grocery shopping can be…painful. Unlike me, however, most people want to spend the least amount of time possible in the kitchen. Quick meals are great to have at your fingertips because life gets busy, but you can’t ever get too busy to nourish properly. Having the right recipe arsenal ensures this doesn’t happen. I’ve been wanting to try this recipe for quite sometime. It’s very simple but packed with flavor. It contains every food group…if you count the seedy tomato as a fruit. Would the cucumbers be a fruit, too? Hmmm. Quick, healthy, and tasty. It’s the name of my game lately! 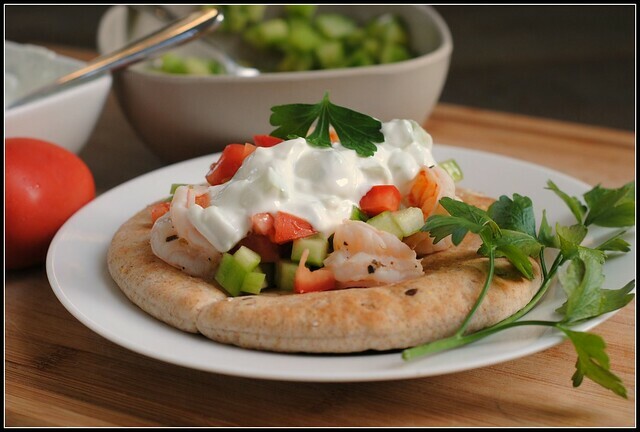 Combine yogurt and cucumber for the tzatiki sauce on a small bowl. Mince garlic with salt until it forms a smooth paste; stir into the yogurt. In a medium bowl, whisk together one tablespoon of olive oil, lemon juice, vinegar, oregano, salt and pepper. Toss the shrimp in the marinade and set aside for 5 to 10 minutes. In a large sauté pan, heat the remaining olive oil over medium high heat. Sauté the shrimp for 5 to 6 minutes, until pink and cooked through. 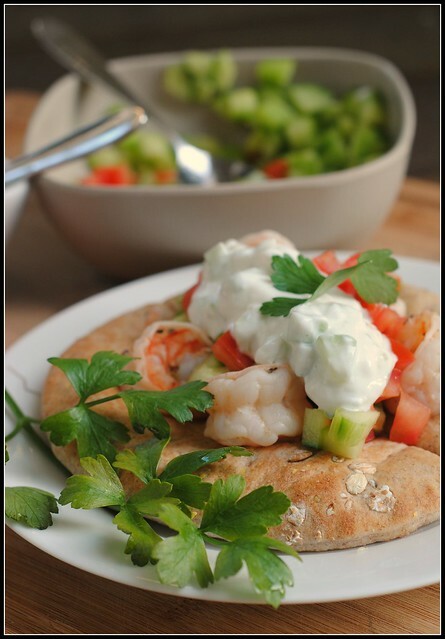 Serve the shrimp on pita bread topped with tzatiki sauce, tomatoes and cucumbers. Result: Clean, simple, and fresh flavors. 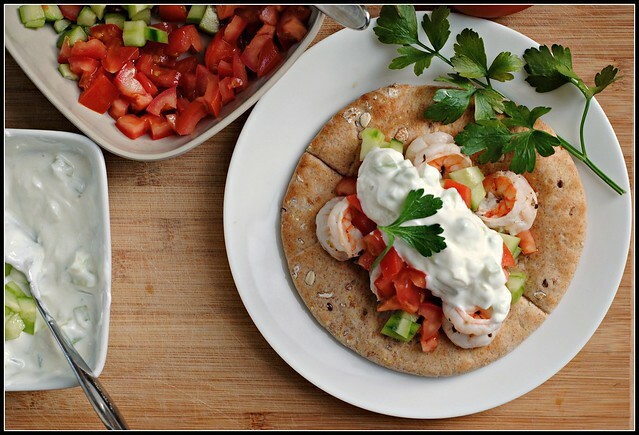 This was a quick meal to come together, especially since you can prep the tzatiki ahead of time. You can grill the shrimp as an alternative and for more flavor. We both give these 2 thumbs up! I may add a bit more vinegar next time — love that hint of tart! Enjoy! « 3rd Annual Prevention Chili Contest ! Darn it, I could have used this recipe YESTERDAY when I was planning a recipe for our leftover shrimp. Maybe next time?? Sounds amazing, Nicole! 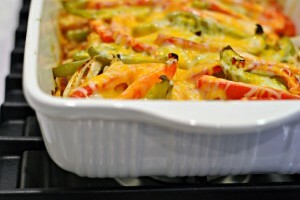 I love cooking, but often my impatient stomach has me craving quick meals. This looks like a great one! Shrimp’s the perfect summer food. 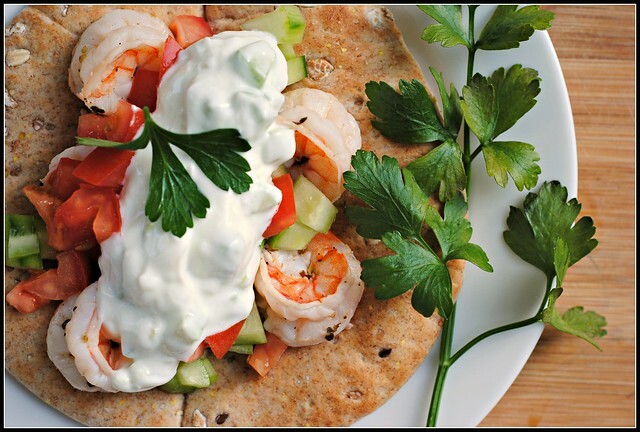 I never thought to use shrimp for gyros – love it! The stats are amazeballs too! 😀 Enjoy your Sunday! So glad you enjoyed them, grilling is a great idea! This looks so good. I really need to make this. Ryan is not a shrimp fan, so when he is out of the house, I think I will give this a try. I completely agree about time. I love to cook and spend time in the kitchen, but not when that time takes away from other things that I value, like spending time with Ryan and going to the gym. I made these for us yesterday and they were so good! My husband doesn’t normally like to eat “white creamy” mixtures but he liked the sauce. He even said we could have it again sometime. That may not sound like much but, coming from him it’s huge. 🙂 Yum!